Diving in the Riviera Nayarit is one of the top attractions for travelers looking for more than fun in the sun during their vacations. If anyone has ever dreamed of diving with whales, dolphins, or turtles, this is your chance! The floor of our more than 300 km (186 mi) of coastline stretching from Nuevo Vallarta to Playa Novilleros is rich for adventurous divers who can easily peer through their visors at everything from schools of colorful fish, giant turtles, mantas, rays, and other marine species thanks to the crystalline quality of the water. There are multiple establishments in the area manned by professional guides to take both beginner and expert divers to the best sites. 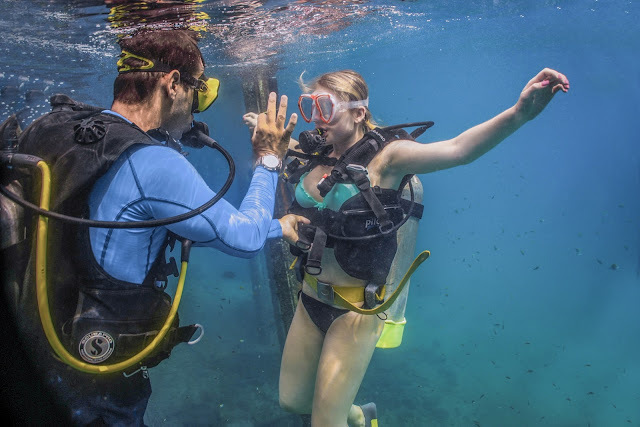 Among the shops dedicated to scuba diving are Vallarta Adventures, Nayarit Adventures, Pipilas Tours and Punta Mita Expeditions. Located in Banderas Bay, the Islas Marietas are one of the most popular diving sites in Mexico thanks to their incredible marine diversity. You’ll marvel at the amount of colorful fish that live there! 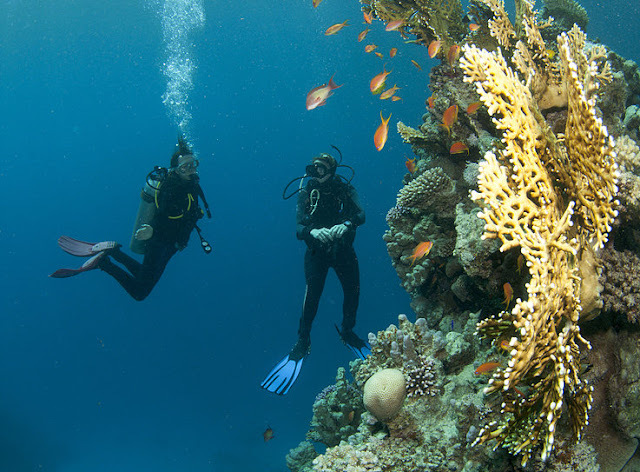 It’s ideal for beginners: the depth ranges from 7.5 – 23 m (24 – 75 ft) and the average visibility is 12 m (39 ft), which means that if you decide to venture in all you’ll need is one oxygen tank. You can also kayak, snorkel, and paddleboard in the vicinity. If you’re a more experienced diver and want more thrills and adventure, head just 12 km (7 mi) west of the Islas Marietas and you’ll reach El Morro (still considered part of the Islas Marietas protected area). This is a series of rocky peaks that reach above sea level and descend up to 45 m (148 ft). At El Morro you can wall and cave dive, and there is a 15-m (49-ft) long tunnel to swim through. 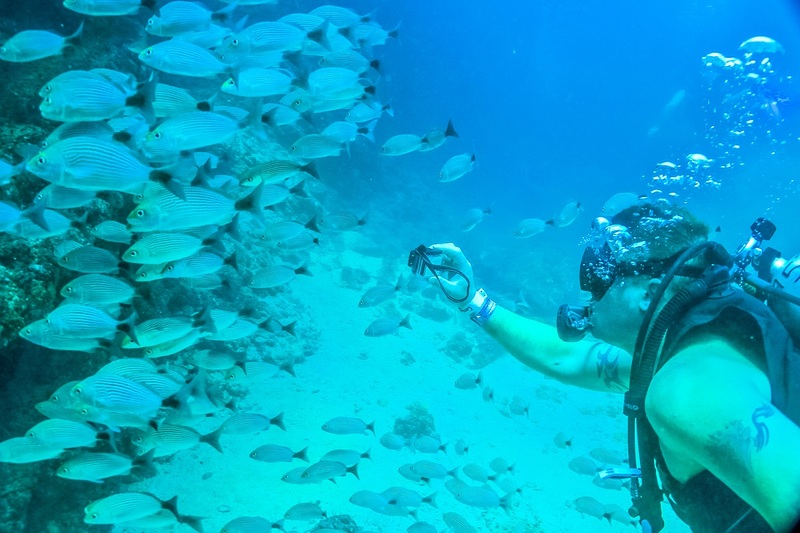 It also offers a once-in-a-lifetime opportunity to observe lobsters, turtles, octopi, sharks, seahorses, dolphins, colorful fish, and enormous mantas and eels. It’s important to point out these tours are reserved only for small groups of certified divers. The Los Anegados rock bank is a very popular site for qualified expert open-water divers. Located in Banderas Bay halfway between El Morro and the Islas Marietas, this site is filled with caverns and rocky formations that go down up to 9 m (30 ft) under water, although in some areas the depths reach 24 m (79 ft). 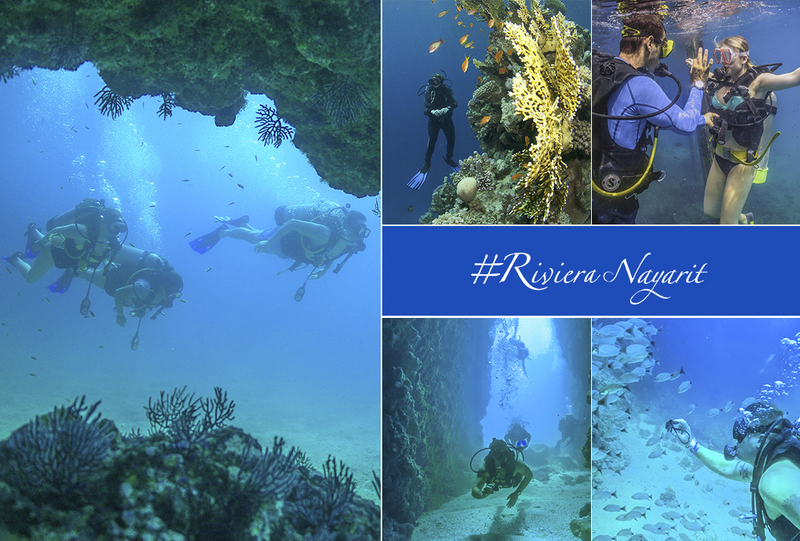 It has a fabulous diversity of marine creatures and it’s very common to see rays and eels, as well as tuna and pikes. Giant mantas and sharks have also been spotted. La Corbeteña this remote location has moderate currents and depths of up to 36 m (118 ft). This is the dream of every expert diver, with caves, arches, and inclined walls. It’s located in Bahía de Banderas, 65 km (40 mi) from Nuevo Vallarta. Here you’ll find all kinds of sea life: mantas, turtles, sharks, and dolphins, not to mention groups of tuna fish seeking food. 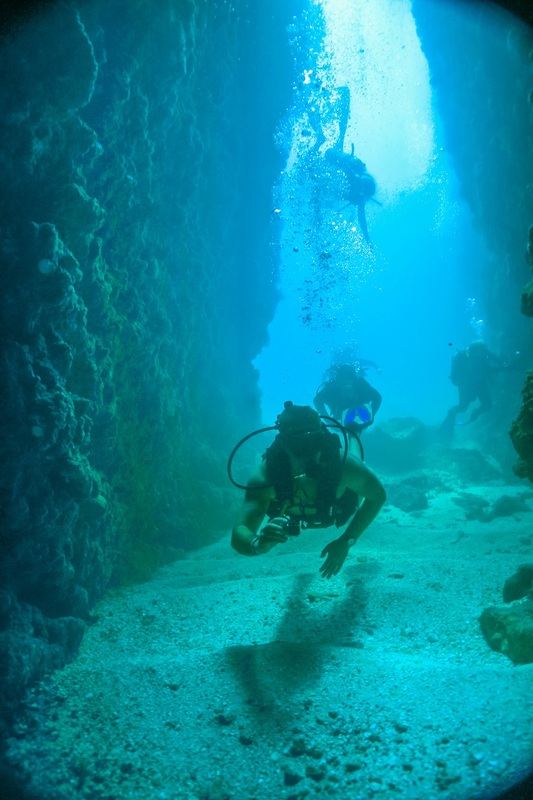 The depths at La Corbeteña are only open for private tours of groups of eight or more divers. The Isla El Coral and its smaller sister island, Isla El Cangrejo, are located 3 km (2 mi) from the beach at Guayabitos. They’re considered protected ecological areas of the state of Nayarit and they are the natural habitat of a wonderful variety of flora and fauna. Responsible scuba and snorkeling are popular around these islands, as the water is home to small coral reefs. You have to take a small motorboat off the beach at Guayabitos to get to the island and you’ll be there in just 10 minutes. Eco-tourists will find their paradise in Isla Isabel with its spectacular landscapes and incredible diversity of marine species and birds on its nearly 2-sq-km (less than 1 mi) surface. It’s also a National Park with a mountainous surface and cliffs that over panoramic views of the Pacific Ocean. It’s located two hours by boat off the coast of San Blas and its underwater treasures are unparalleled. Mantas, humpback whales, whale sharks, and gorgeous coral, not to mention 79 species of fish, await the professional and recreational diver. The Riviera Nayarit Convention and Visitors Bureau (CVB) and the Bahía de Banderas Hotel and Motel Association (AHMBB) work hard to promote the destination with the support of the Government of the State of Nayarit via its Tourism Promotional Trust (Fiprotur). The cultural tourism product offer is an invaluable asset for these promotional efforts.